If you are looking for a new food smoker or you’re interested in the increasingly popular trend of smoking food then you’ve come to the right place. We have a huge variety of food smokers to suit your needs. 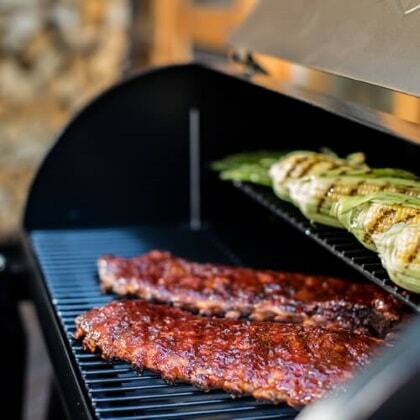 From combined BBQ food smokers, stovetop smokers that can be used inside your home, portable smokers for camping for huge smokers that can accommodate multiple people, we have an extensive range that will deliver great tasting and amazing results. We only stock the highest quality products so you will see affordable smokers from the biggest and best brands, and rest assured there’s an advantage to that – you will experience the best Smoked Food you’ll eat! Food smoking is a cooking style which was once limited to a piece of fish, it is now expanding rapidly and used for commercial and fine dining in the home. 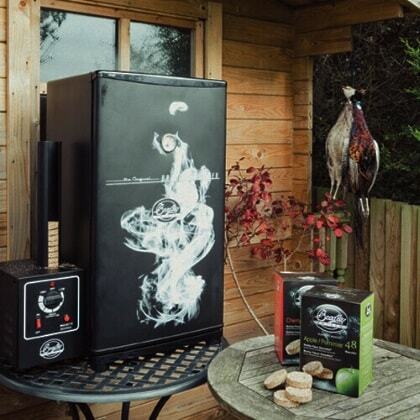 Our range includes hot smoker’s ideal for smoking poultry, fish or game and a variety of equipment for cold smoking which is great for fish, nuts and cheese. In fact, we class ourselves as the experts in the industry and can offer a variety of choice and knowledge to go with any product you choose whether it's for hot smoking or cold smoking. Cooking is a trend in itself, the amount of TV programs related to food and cooking is testament to this. In particular cooking outdoors and with your BBQ is a popular pass time in the UK. We are spending more of our hard-earned money on new equipment and gadgets for making good food at home - food that we have seen or tasted whilst on holiday or perhaps on the TV. Celebrity Chefs too are great for showing us different ways to cook and prepare on their own programs or at festivals and events. Here at Garden Gift Shop we have all the equipment you need to help you achieve perfect results - Smoking food is one of the latest cooking trends taking the world by storm. It’s a great way to add flavour to your food and try something different. All the food smokers you find in our range are brought to you by best brands, renowned for their quality cooking equipment. You will see that we stock a selection of Bradley food smokers – they are fantastically large smokers perfect for restaurants or cooking for a large amount of people at home. You have multiple racks and they are easy to use. 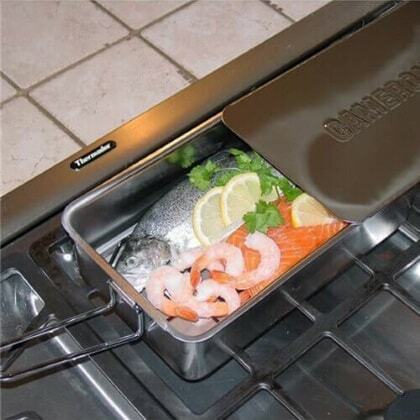 You will see we stock Cameron’s stovetop smokers which can be used on the stove or on the BBQ. These are versatile and can be used indoors or out. 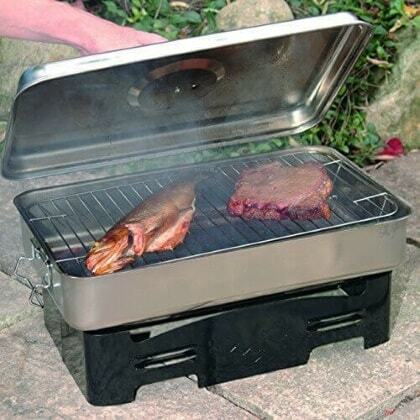 We have a portable smoker range so you can enjoy the benefits of food smoking while you’re away from home or camping. We also have several Traeger electric BBQ grills and pellet smokers. These are convenient, they do everything in one and serve up so much amazing food. Whatever your size or type preference you can be sure we can deliver. What’s more we only stock the best products so you can rest assured you are getting quality equipment when you shop with us. If you want to know more about our food smokers and their capabilities, feel free to give us a call & we can guide you through what you might need. We can our expert tips and even suggest our favourite recipes for you to try.